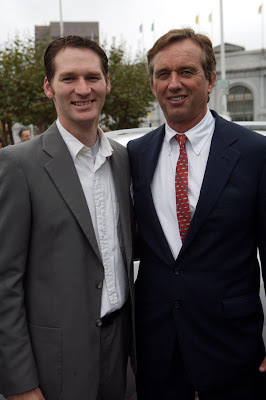 Nick Rothman of Green Gears with Robert Kennedy Jr. shortly after a press conference at San francisco City Hall. 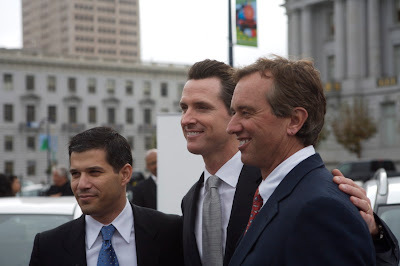 Shai Agassi of Project Better Place, San Francisco Mayor Gavin Newsom and robert Kennedy Jr. talk after a press conference at San Francisco city hall. Pats Garage/ Green Gears was mentioned as one of the contributors towards making San Francisco the leader in adoption of Electric vehicles and reduction of CO2 emissions.San Francisco City and county will partner with Project Better Place and Coulomb technologies to build out the EV charging infrastructure in the San Francisco Bay Area. 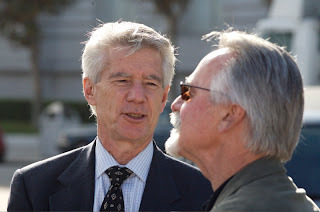 Pat Cadam discusses the implications of the announcement with Bob Hayden of the San Francisco Department of Environment. 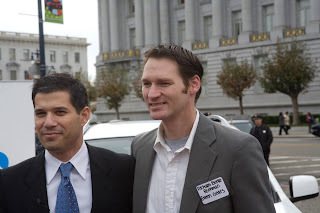 Nick Rothman pictured with Shai Agassi of Project Better Place.